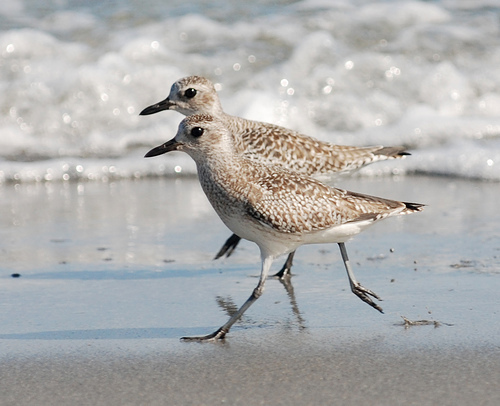 The Grey Plover is a relatively small wading bird usually seen in winter in the Wadden Sea. The Grey Plover breeds in the north of Europe on the tundras. 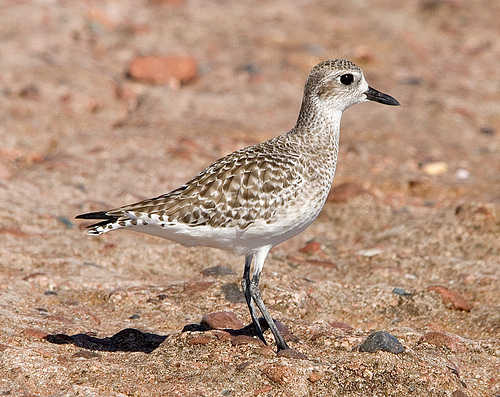 The Grey Plover has a grey back, the Golden Plover is brown.